We could wax lyrical all day about why Japan is so wonderful in autumn, but sometimes photos speak louder than words. Last October, Ursula travelled through the beautiful Tohoku region, snapping the warm hues of autumn’s turning leaves as she went. This is a side stream off Oirase Gorge near Ishikedo rest place. The gorge is very busy in the autumn but it is well organised with road closures and plenty of facilities. This is Dakigaeri Gorge; as a flexible suspension bridge that sways and moves in response to people walking on it, it is a difficult place to shoot. We had to wait for a gap between groups of people for the bridge to be still enough to take the shot. This line of trees is in a park on the north shore of Lake Tazawa, just east of the Tazawako Camping Ground, beside Highway 60. We were driving past and the trees looked so beautiful we decided to have lunch there. The landscaped park became more and more peaceful as we wandered away from people concentrated around the flame-coloured maples nearer the road. This is Lake Tazawa. I loved the reflections and how the colours of the trees contrast with the turquoise blue water. As we drove around the lake to shoot them, we stopped periodically where the bends in the road provided suitable views. These are the grounds of Motsu-ji temple, on the northern side of Lake Tozawa, just to the west of Jogyodo. We loved Motsu-Ji temple and when the weather cleared, we had time to go back and see it in the sunshine. So calming and peaceful. You get a real sense of history and timelessness here. I lined up the shot so the reflections in the stream created a beautiful foreground, with the stream creating a leading line curving through the image to the sunlit trees beyond. Motsu-Ji temple again where a white post marks the location of a destroyed temple. We are looking east across the stream, toward the Jogyodo. All photos © Ursula Lawrence. 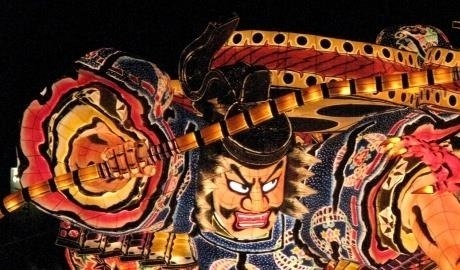 Do you fancy visiting autumn in Tohoku? Can we come too? 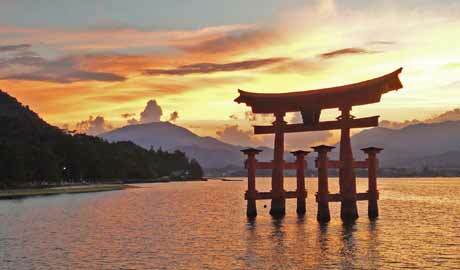 Get in touch with our team of Japan travel experts to start planning your trip. For some inspiration, take a look at our Northern Highlights Self-Guided Adventure.